When you are hurt in an accident it is easy to feel like your world has been turned upside down. 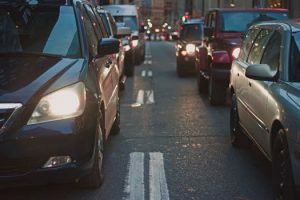 Although automobile accidents are an unfortunate fact of life all across our state, they are never easy for those involved. Car accidents happen when you are least expecting them to occur. When you are involved in a car accident, you are likely to have many unanswered questions about what happens next. First, if you have been hurt in a Massachusetts car accident, you should never speak with the insurance company alone. One reason you hire an attorney is so that they can use their experience to deal with the insurance adjuster. You should be focused on your healing and recovery from injuries sustained in the accident. At the Law Offices of Jeffrey S. Glassman, we are experienced, knowledgeable and compassionate Boston personal injury attorneys. We have been specially trained to provide support as you go through the process of healing, recovery and eventually a resolution of your legal claims. When you hire us we work on a contingency fee basis which means we receive no attorney fees unless you also recover for your injuries. There is absolutely no obligation on your part, even if you decide to hire us to take your case.